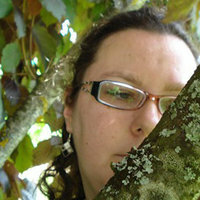 Amateur illustrator, comic artist and writer, has managed more than half a dozen webcomics since 2004. Mostly works with original characters and ocasionally draws character studies for other works. Has published a 160+ graphic novel in a portuguese newspaper. 3rd prize for ‘4º Mostra de BD de Odemira’ in 2009, with comic “Someone once told him …”. Published "Just my Luck", a 160+ pages Graphic Novel in the newspaper “Barcelos Popular” between 2006-2007. Drawn by Natacha Salgueiro, writen, painted and ballooned by me (Ana C. Nunes).